Whenever I see an old aircraft (usually acting as a gate-guard) I check my log books to see if I had come across it before. Surprise, then, when I looked for XS420 to see that it had been the first T5 I had flown. That was on 24 January 1969 at 226 Operational Conversion Unit (OCU) at RAF Coltishall. I had been an instructor at 226 OCU in 1963-64 when the unit was equipped with Lightning T4s and F1s. During my time with the unit, it moved from Middleton-St-George to Coltishall. 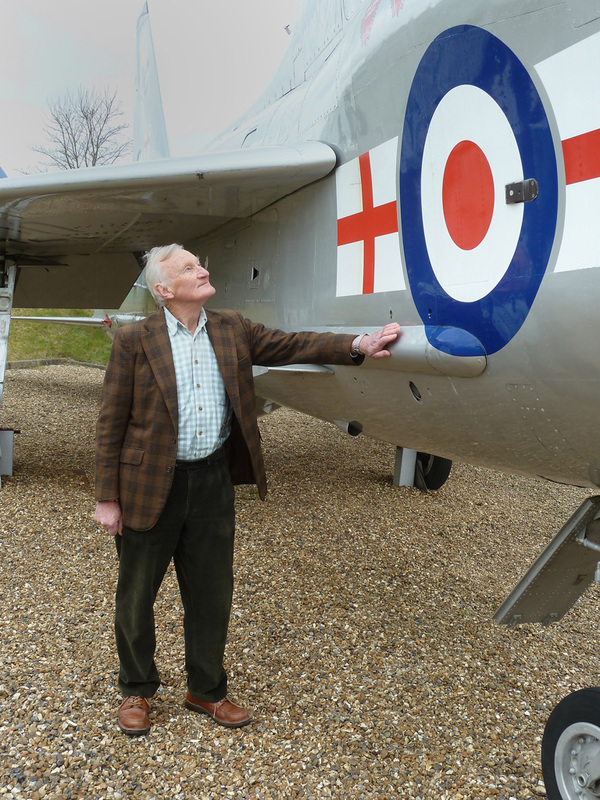 I then went to Staff College and did a tour in MOD, and was well out of flying practice when I was posted back to flying in 1969. So, I firstly did a refresher course on Jet Provosts at Manby and then moved back to good old Coltishall to refamiliarise with the Lightning. The OCU was organised into 2 squadrons: 1 Squadron flew T4s and F1As to teach general handling skills while 2 Squadron used T4s, T5s and F1As to teach radar/armament handling. So it was with 2 Squadron, 226 OCU, that I did some radar exercise flights in XS420. These exercises (Radexes) consisted of running simulated attacks against other Lightnings acting as targets. Doesn't sound very exciting now, but I remember that they were quite difficult, not least because the radar readout was on a small, poor quality B-scope. 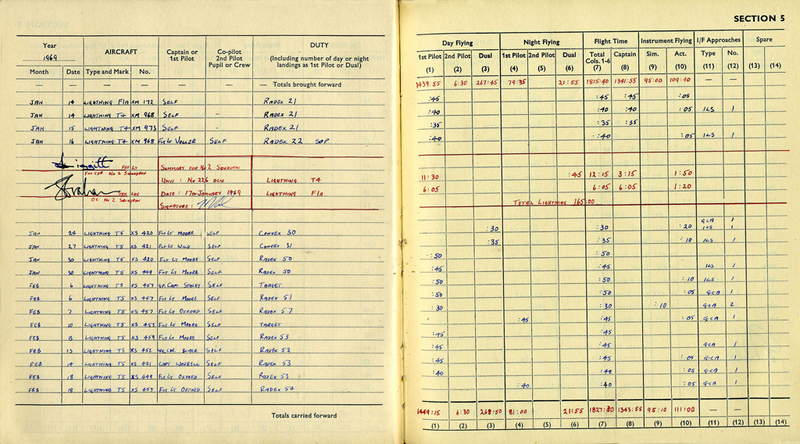 Ken has very kindly sent an extract of his log book which details his flight in XS420 on 24 January 1969.